Bangladesh Cricket team will play a 4 match Twenty20 series against Zimbabwe on January, 2016. Though there were an old schedule where BCB announced that tigers would play Test, ODI & T20 cricket against Zimbabwe. But on the basis of upcoming T20 world cup & T20 Asia Cup, Bangladesh & Zimbabwe Cricket board agreed to play Twenty20 match between them. Right now Bangladesh is the most fast growing cricket team around the world and every cricket nation take Bangladesh seriously. But still now the T20 format performance of tigers little bit low and that’s why will need to play qualifying round to get chance in ICC world T20 in India. Among 8 team, 2 will finally qualify for the main event of world cup where have Twenty20 good playing nation Zimbabwe, Afghanistan, Ireland, Netherlands and so. 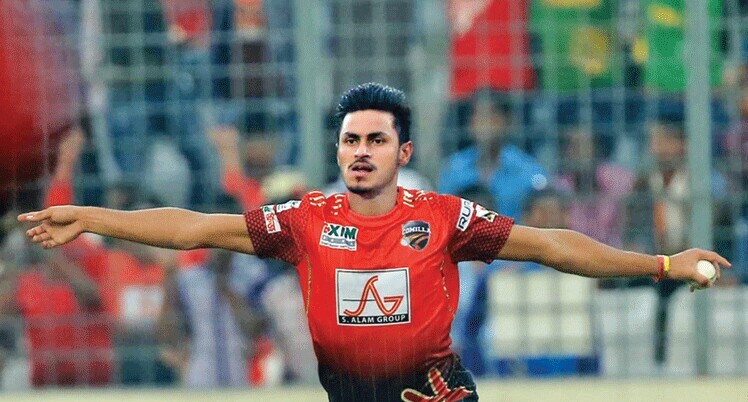 Few days back, Bangladesh organized a biggest T20 event in Bangladesh named “BPL T20” where their cricket get chance to improve their Twenty20 skill. Though cause of low scoring wicket, their local cricketer didn’t score good amount of run but able to pick 2 t20 specialist bowler for the national team. However, 2 new face come into the national team squad for Zimbabwe series Qazi Nurul Hasan and Abu Haider Rony cause of doing high quality performance in BPL. Anamul Haque Bijoy became out of T20 squad cause of the regular based performance of Soumya Sarker.